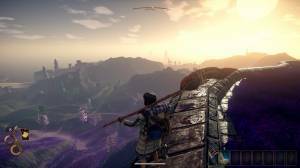 Knowing how to make money in Outward is something which will make your life easier during your adventure in Outward. Below is a list of various different ways you can earn Silver, the games currency. Clearing out bandit camps is a good way to get a lot of Silver. Be warned though that this can be tough so make sure your character is well prepared before considering this otpion. If you acquire the fish harpoon that you can find in the starting area you can always earn a lot of Silver by fishing, especially if you make fish recipes. You can earn a decent amount of Silver by crafting food recipes. A good recipe early on to profit from is Gaberry Tartine. You can buy the bread for it from Master-Chef Arago. If you have a Mining Pick you can earn Silver by mining the mana stones that are found around Conflux Mountain. Mana stones respawn and occassionally grant you 50 Silver each. This can be difficult to do though as the area is infested with enemies. Another way to make money is through alchemy. Use The Mining Pick to mine gravel bugs and then combine them with water and blood mushrooms (found in caves). When you do this you will be able to acquire Life Potions which sell for 8 silver each. To do this though you will first need to have the Alchemy Station and have it placed on a Campfire. If your character is well equipped for hunting you may want to consider venturing into Hallowed Marsh as it offers the most Silver per kill. Coralhorn Antlers in particular which are obtained from the red deer in Enmerkar Forest sell for 18 Silver. Check out our How to Craft Weapons page to find out how you can use the Silver you earn to buy the ingredients you need to craft the Best Weapons in Outward.